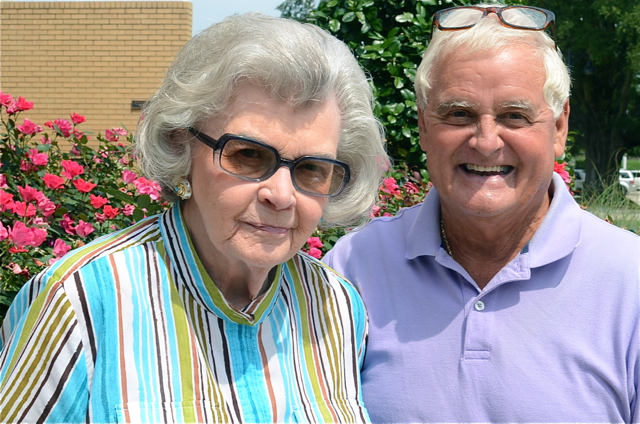 Sue Tuck: My grandmother would go to City Market most every day. I don’t think she ever bought pork, beef, or lamb at the grocery store. There used to be vendors inside the building at the City Market. There was a man named Mr. Cox and he had the finest meat in the world, and there are only two vendors that still sell at the City Market but one of them, Charles Coats, remembers my grandmother coming down and asking for foods. When he told me that, it just brought the memories back to me because I’d heard her say it. She’d said, “Mr. Coats, I want some corn. They’re just like baby teeth,” and she really did. She wanted white corn, [silver queen], and teeny tiny, and I grew up liking it like that. Ronnie: You still go down all the time to Charles. Sue Tuck: Yeah. Old habits die hard. Sue Tuck Briggs was born in 1928, grew up at 302 North Blount Street and spent a lot of time down the street at her grandmother’s house, also known as the Tucker House. The Tucker House was moved to North Person Street after Sue’s uncle, Garland Tucker, donated it to the City. 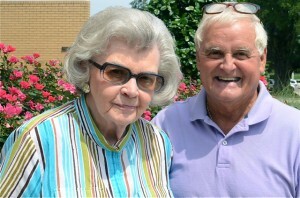 Sue Tuck and her husband Thomas Briggs, of Briggs Hardware, moved to Oakwood Avenue in 1975.